Monday - Saturday 8am-5pm • Sunday 9am-5pm. Sunday, November 5th, 11:00 a.m. - 3:00 pm. Saturday, November 11th, 9:00 a.m. - 3:00 pm. 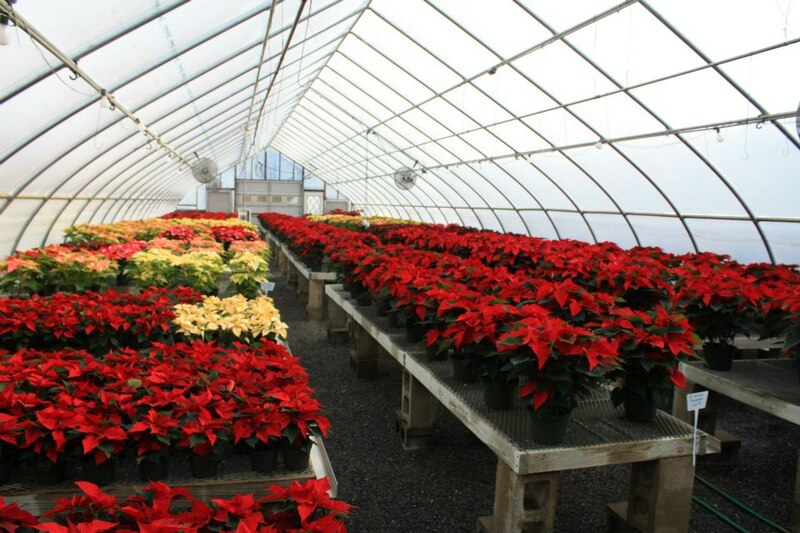 Christmas comes alive at Evergreen, with fresh cut Christmas Trees, Wreaths, Centerpieces, Poinsettias, Holiday workshops and more! 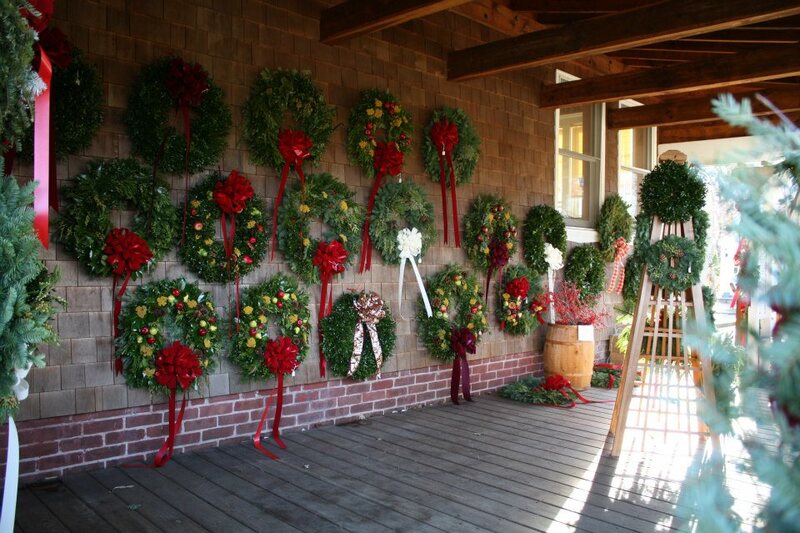 Christmas comes alive at Evergreen, with fresh cut Christmas Trees, Wreaths Centerpieces, Poinsettias, Holiday workshops and more! 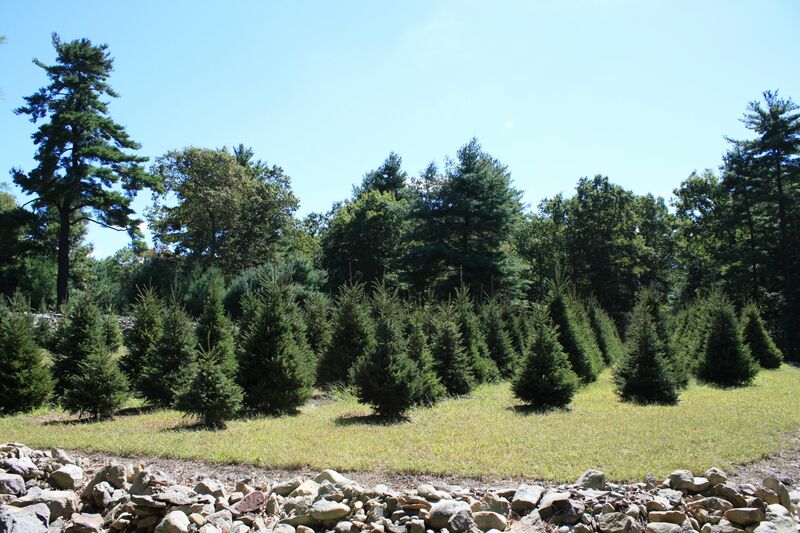 Evergreen has two Christmas Tree Farms, one located in the Touisset section of Warren, RI and the other on our property in Seekonk. 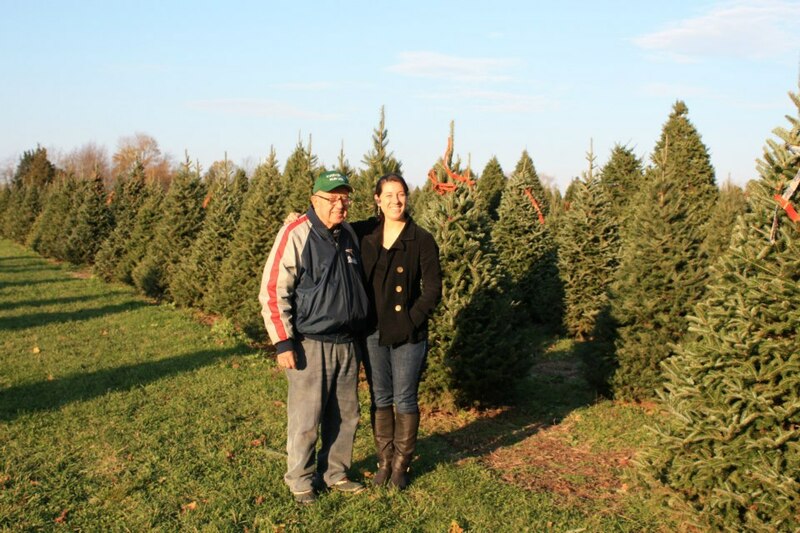 Begun in 1987, the farm in Warren has been open for tagging to our newsletter recipients since 1993. 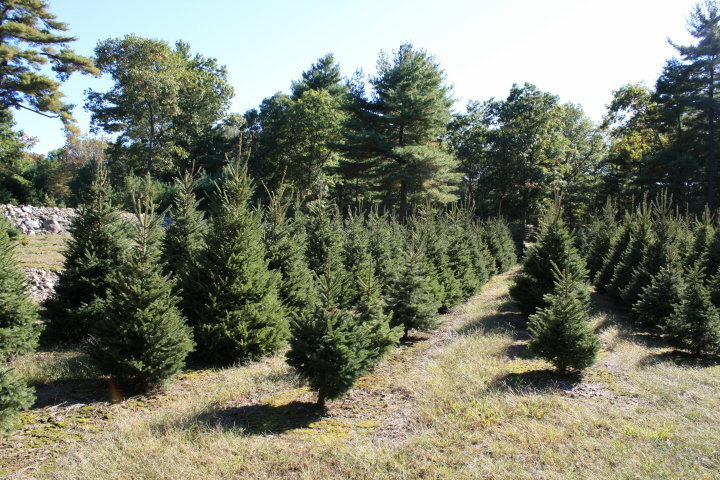 The drive to Touisset, as well as the hot mulled cider and freshly baked breads enjoyed on my parent’s deck, has become a tradition for many families. 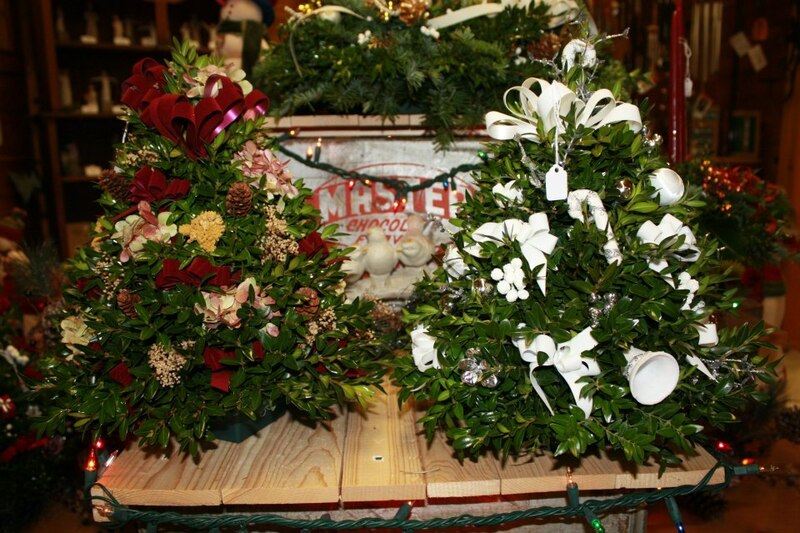 Christmas Wreaths, Candle Centerpieces and Boxwood Trees are created by our talented staff of designers who also make custom bows, wreaths and holiday centerpieces to order or you may simply select from our retail display. 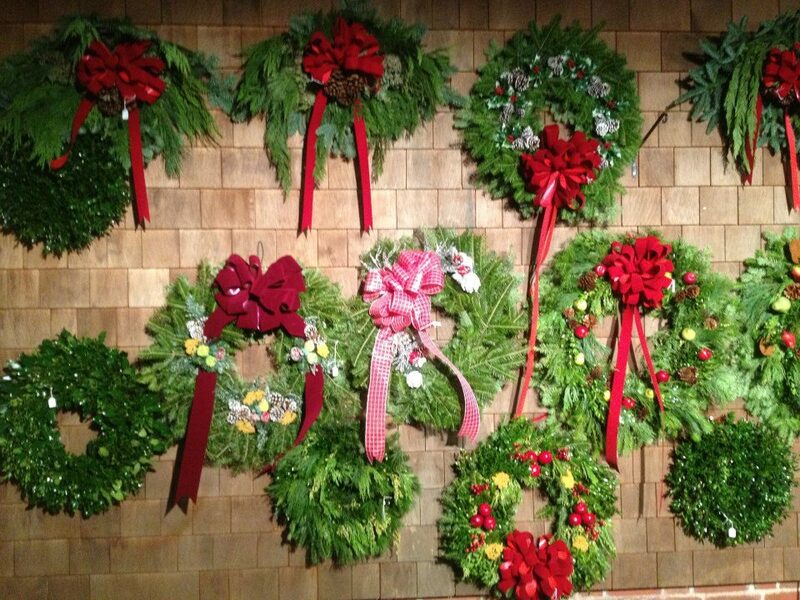 Our boxwood, laurel and mixed green wreaths are made on-site using moist sphagnum moss wrapped in wire frames to ensure that they stay fresh and continue to absorb water as long as possible. 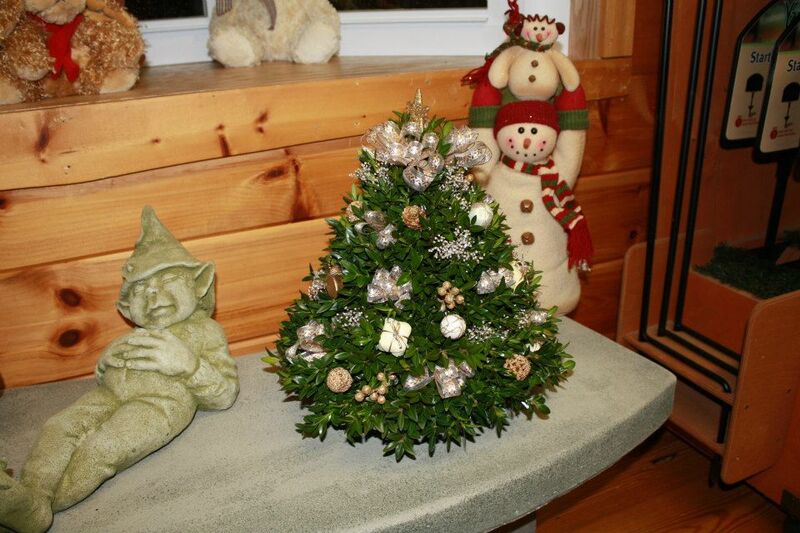 Boxwood trees and candle centerpieces are made using floral oasis foam in a dish to hold water and allow the arrangements and boxwood trees to remain green for months.They are available plain or decorated with unique and festive holiday themes. 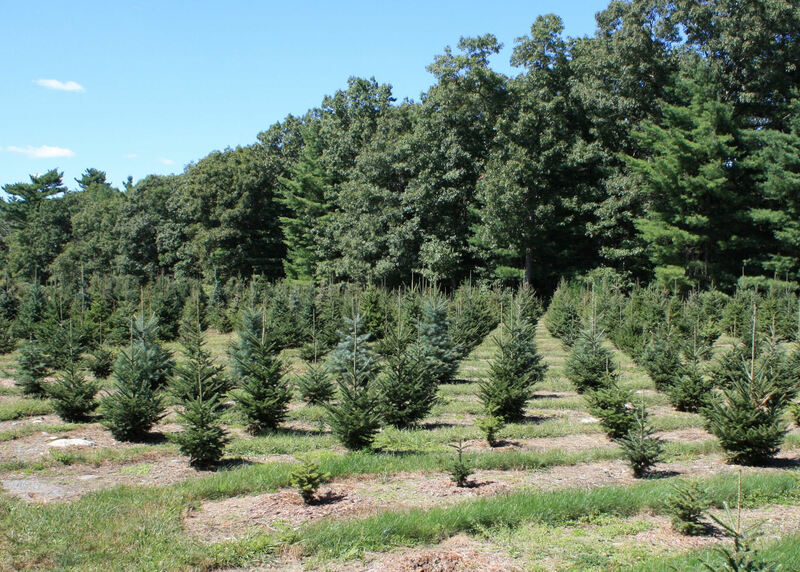 Evergreen offers a holiday workshop on the Saturday before Thanksgiving where participants, with the help of our friendly and talented staff, design, make and decorate their own boxwood tree, candle centerpiece or wreath which they take home with them at the end of the class. 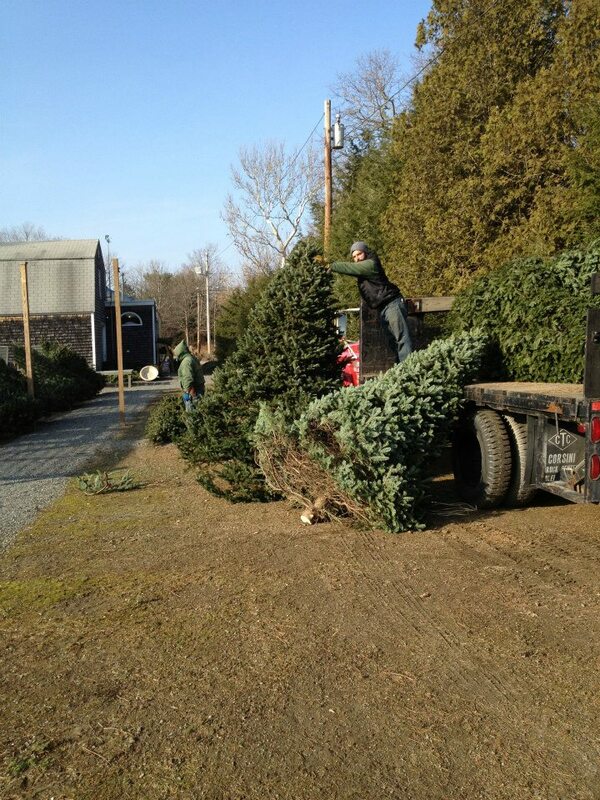 All our workshops, spring, fall and Christmas, are advertised through our E-Newsletter. 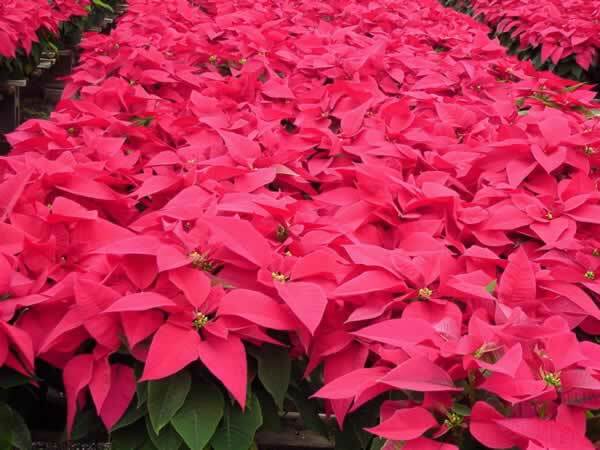 You can sign up to receive these notices, along with our gardening newsletters by clicking on the Enewsletter icon within this website. 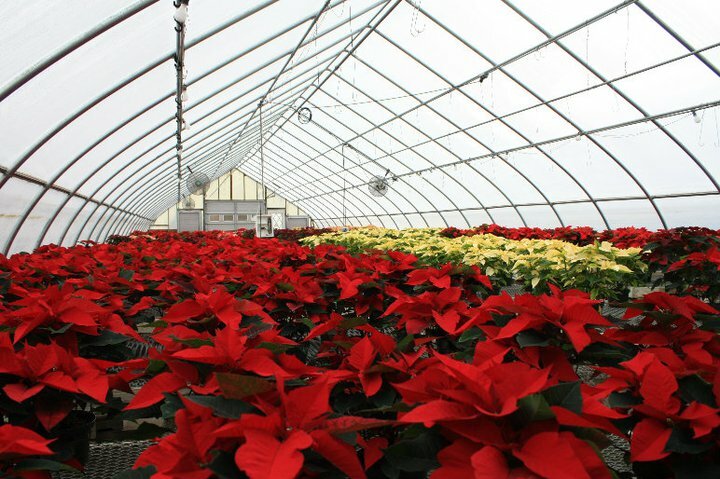 Evergreen began growing poinsettias in 1995 when we constructed our first growing greenhouse. 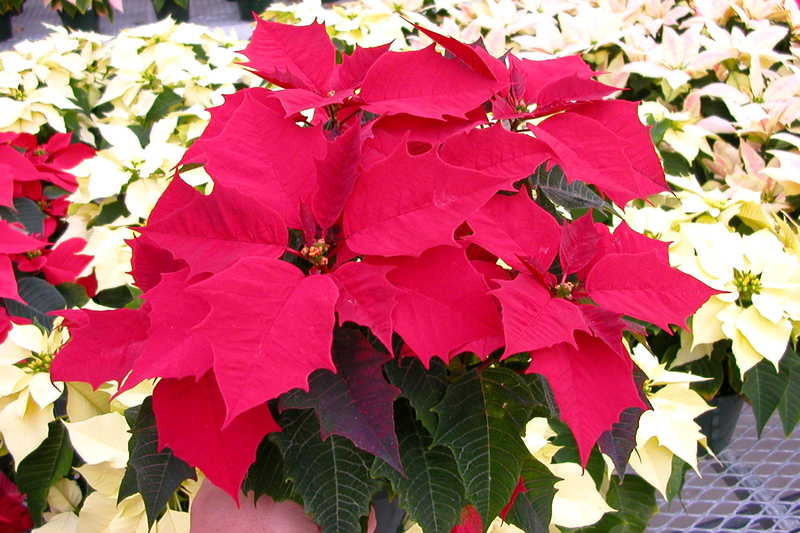 Our poinsettias are a favorite during the holiday season with a range of colors including traditional red, several shades of pink, white and the increasingly popular burgundy. 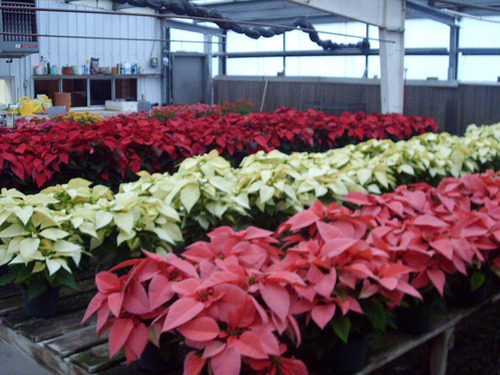 We grow them in several sizes including a small desk-top 4” pot size along with our standard 6”singles, 7” doubles and 8” triples and hanging baskets. 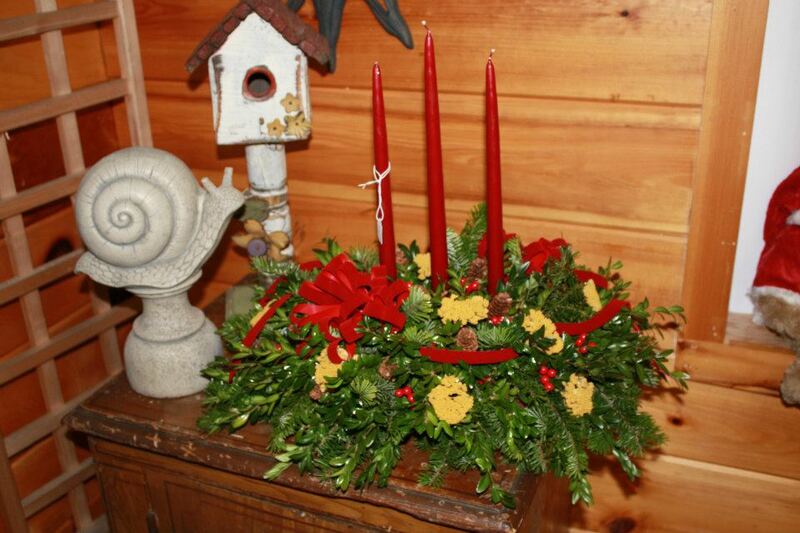 All our workshops, spring, fall and Christmas, are advertised through our Enewsletter. 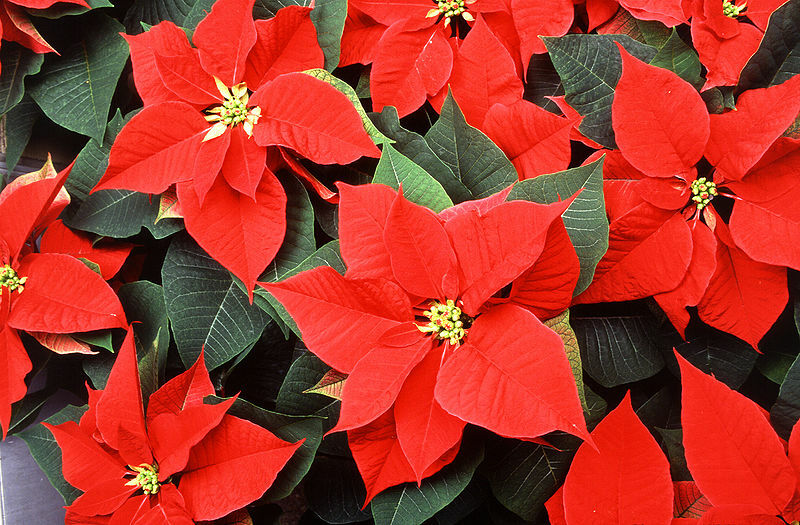 You can sign up to receive these notices, along with our gardening newsletters by clicking on the Enewsletter link above. 2018 workshops to be announced soon. 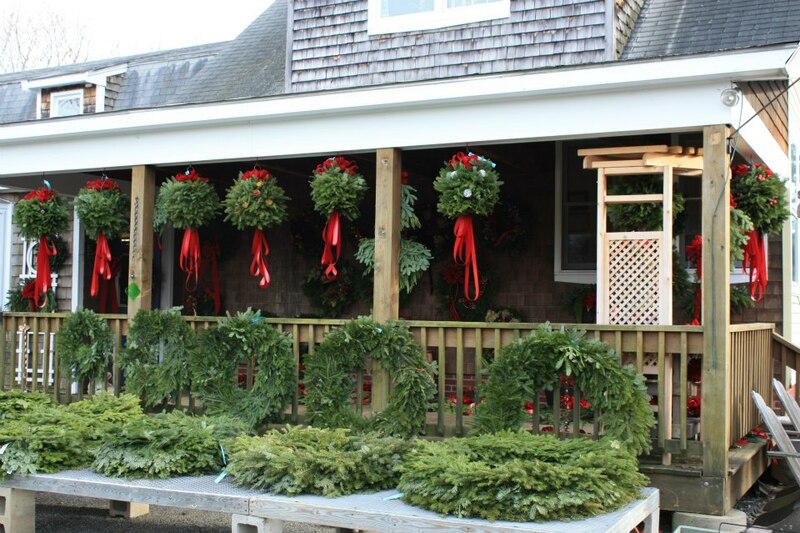 Christmas Wreaths, Candle Centerpieces and Boxwood Trees are created by our talented staff of designers who also make custom bows, wreaths and holiday centerpieces to order or you may simply select from our retail display. 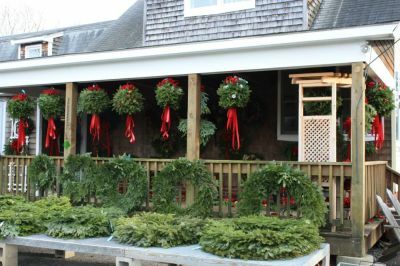 Our boxwood, laurel and mixed green wreaths are made on-site using moist sphagnum moss wrapped in wire frames to ensure that they stay fresh and continue to absorb water as long as possible. 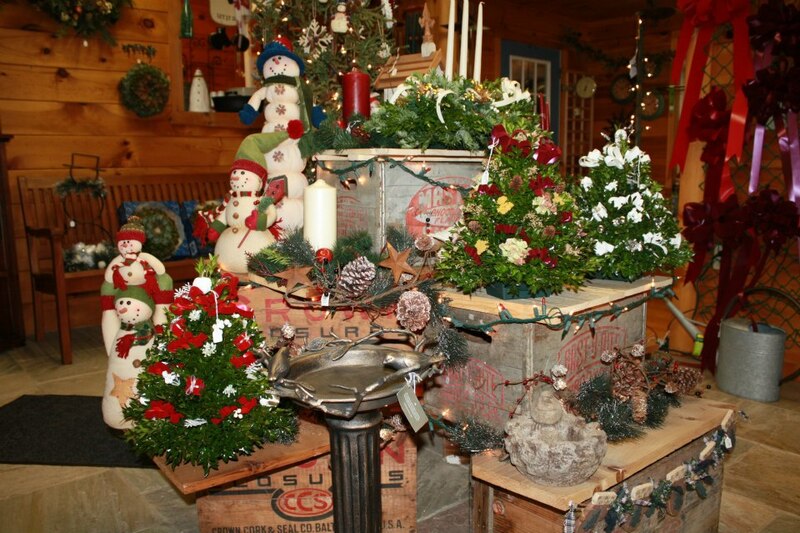 Boxwood trees and candle centerpieces are made using floral oasis foam in a dish to hold water and allow the arrangements and boxwood trees to remain green for months. 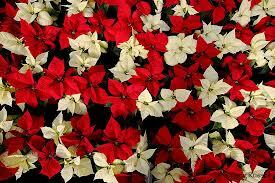 They are available plain or decorated with unique and festive holiday themes. 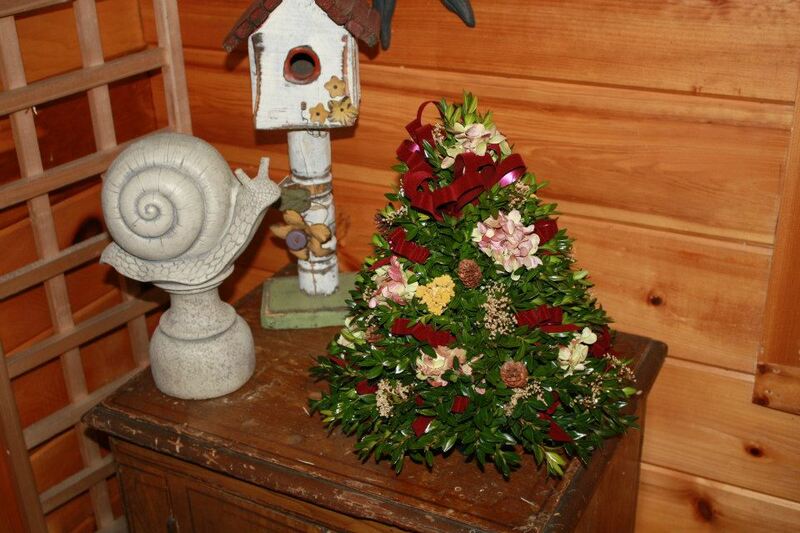 All our workshops, spring, fall and Christmas, are advertised through our Enewsletter. You can sign up to receive these notices, along with our gardening newsletters by clicking on the Enewsletter link in the drop down menu.